A $200M Electrical Subcontractor in the northern Virginia area is seeking to hire a Chief Estimator. 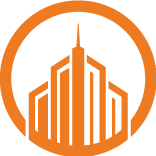 Company project portfolio includes data center, healthcare, government, high rise and commercial projects. Chief Estimator will be asked to lead a team of estimators and oversee final estimates, working closely with preconstruction and operations teams to ensure project success. Applicant needs strong leadership capabilities, and years of experience estimating projects from $1M up to $100M.